Antonio Bernal ProS CP20 hand made by Antonio Bernal himself. Cypress back and sides with Canadian Red Cedar top. Brand new, asking $3150. 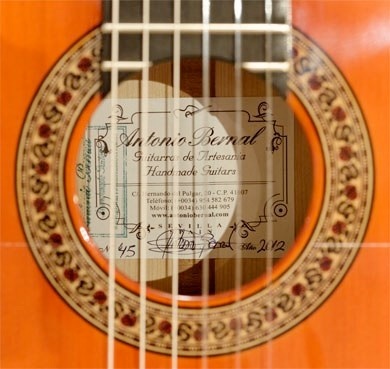 Antonio Bernal describes it, "Handmade guitar used by many prestigious professional guitarists. Very deep sound with loud and clear harmonics. Special nuances. 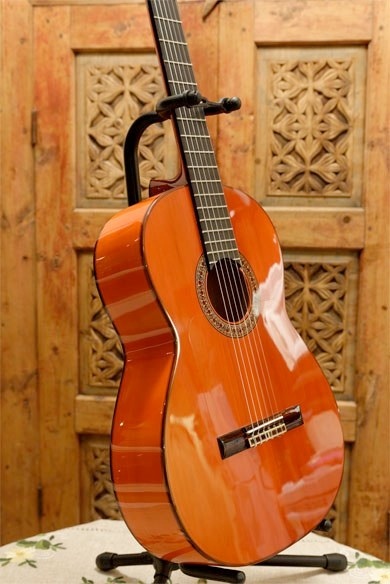 Old school flamenco sound." De Oro Music acts as a third-person consignment broker only. Any sale is between guitar owner (seller) and buying party (buyer). All negotiations, payment, shipping arrangements, etc. strictly between buyer and seller. 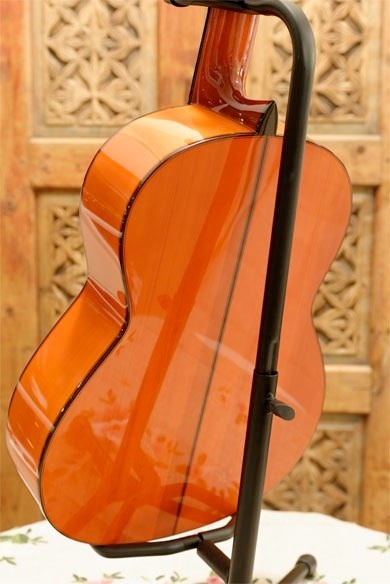 We have on consignment one Red Cedar/Cypress Bernal ProS CP20.